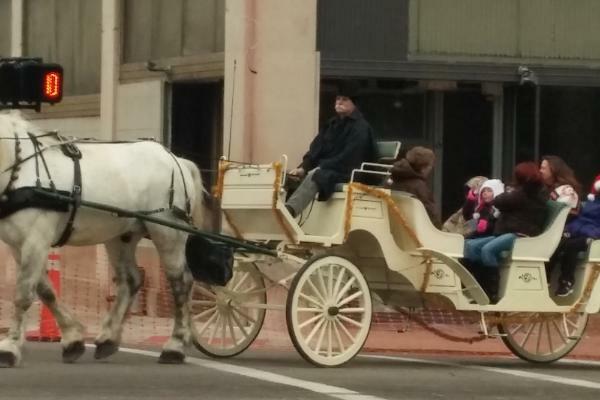 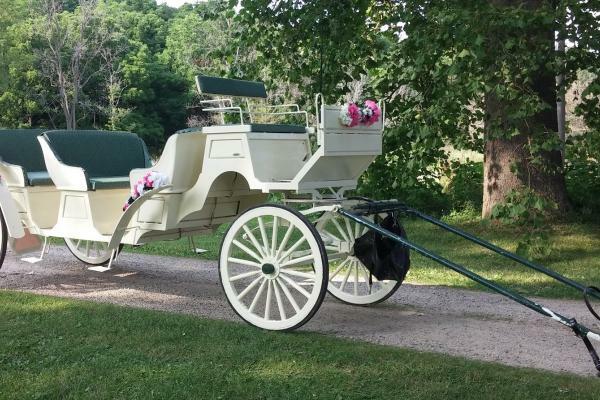 The ivory and green Vis-a-vis limousine carriage is an elegant carriage if you have 6 people. 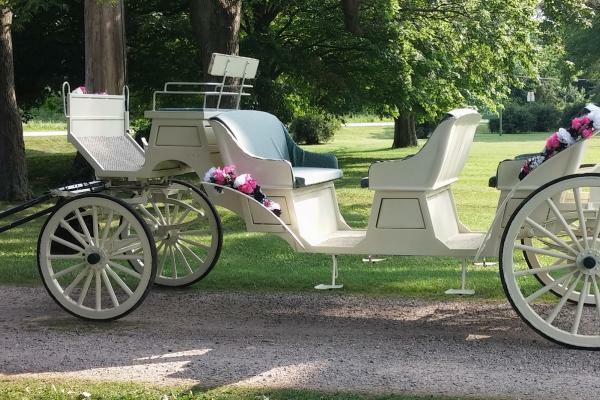 The maximum the carriage will carry is 9 people but you will be most comfortable with 6 or less, depending upon size. 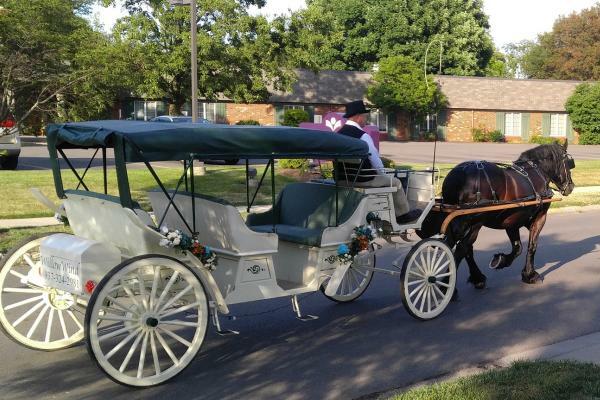 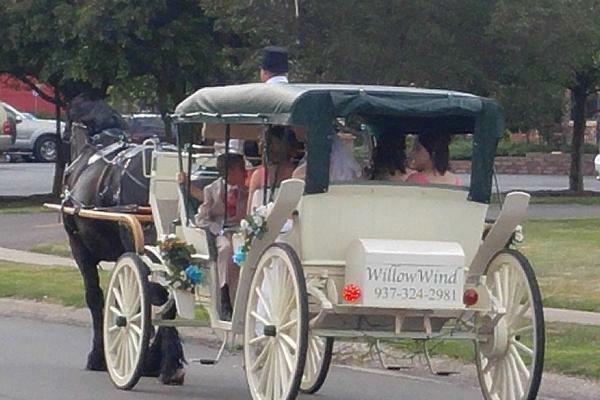 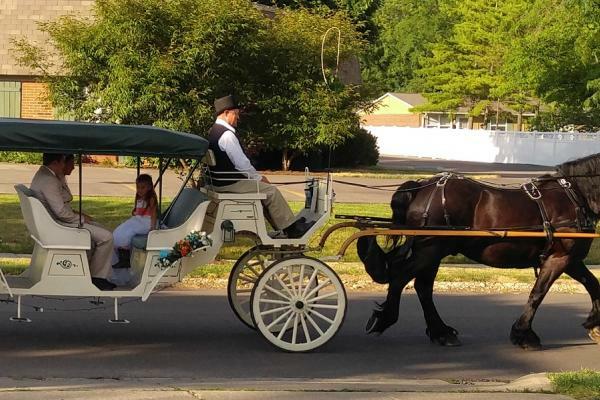 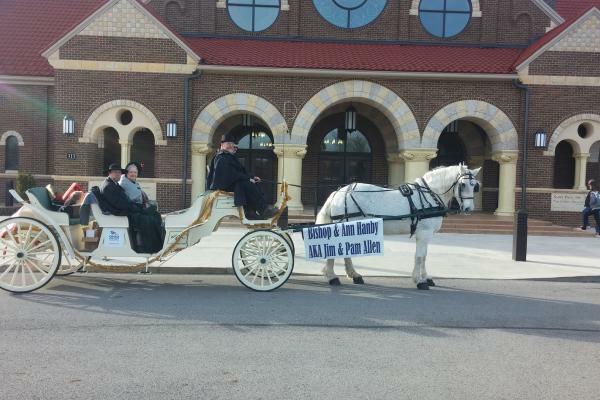 This offers another color option for your event as well as another more elegant carriage for larger groups. 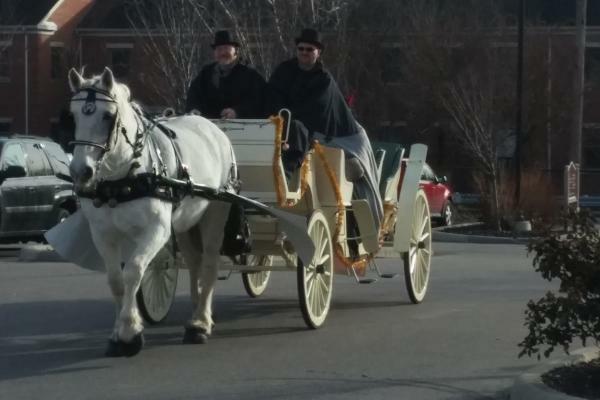 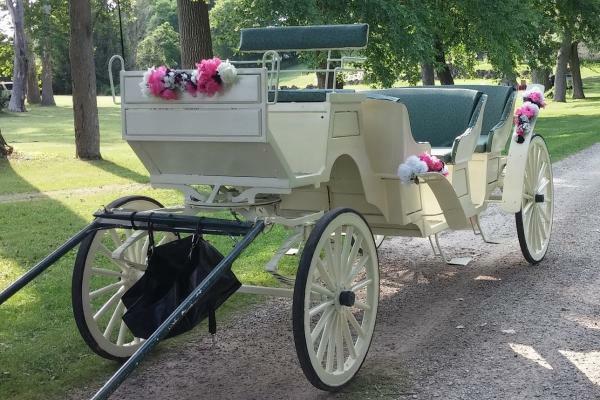 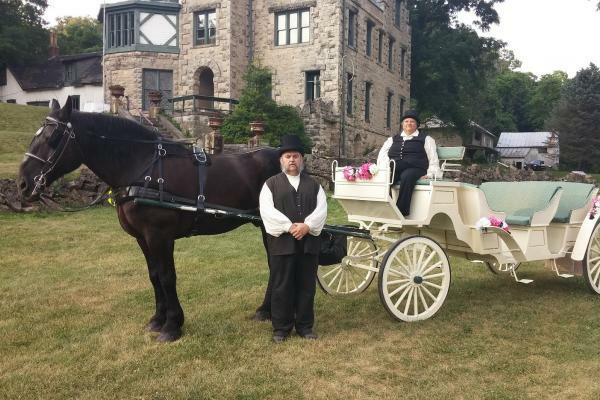 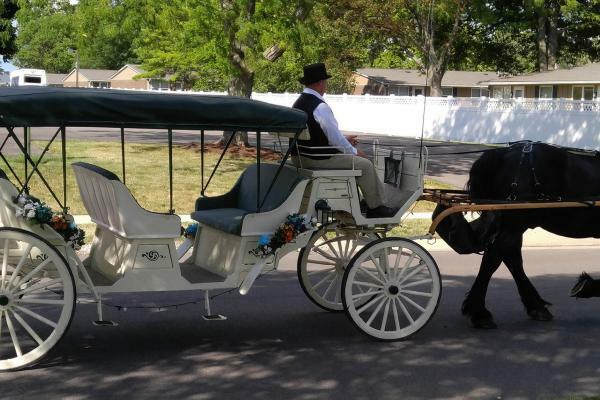 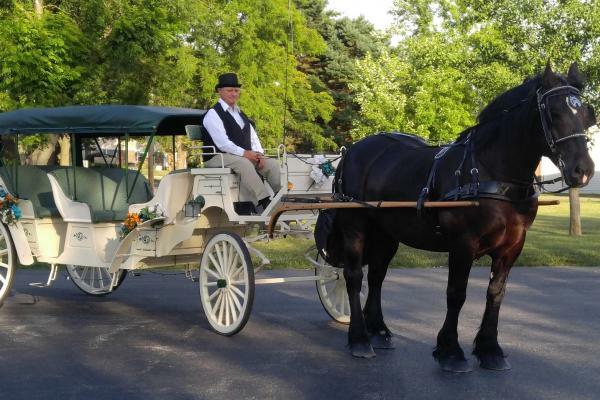 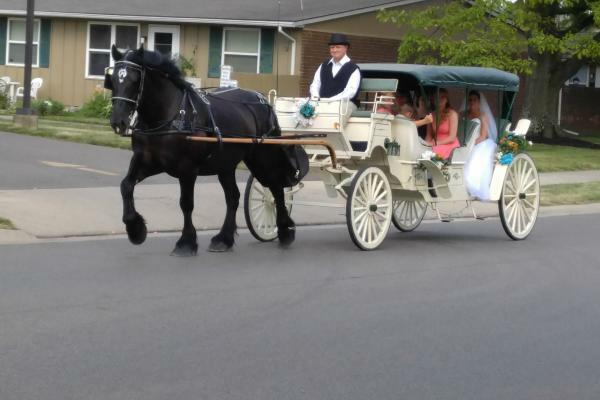 This is a great carriage for wedding parties to make a grand entrance and to use for a ride for the bride and groom following the ceremony as it is elegant and the bride and groom can sit in the center seat. 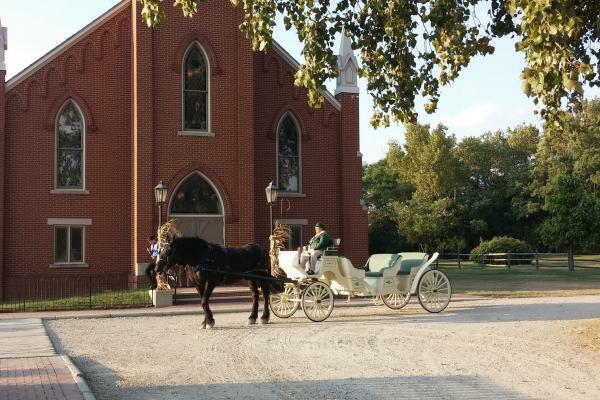 Recently added is the convertible top to provide shade and a little protection from wind and light rain if needed. 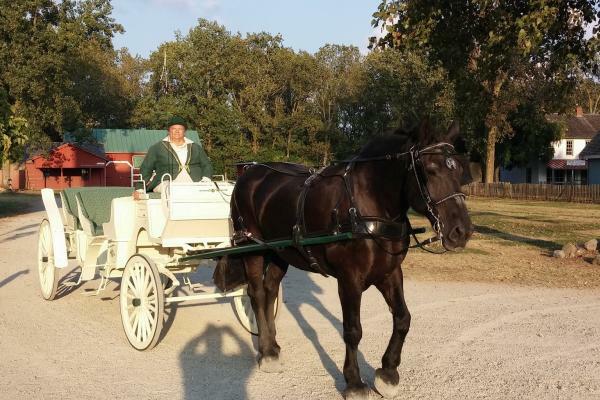 In the pictures we have opened the back panel.